January 7, 2019: The reconstruction project on the Bridgeport Covered Bridge is moving forward. A construction contract was awarded to Spectra Company in the fall of 2018. The total project cost is $6.9 million. Spectra Company will begin mobilizing materials and equipment this spring in preparation of starting construction in late spring or early summer, once water levels are safe. Construction is expected to be completed by the end of 2019. We will continue to update you on the construction process as information becomes available. 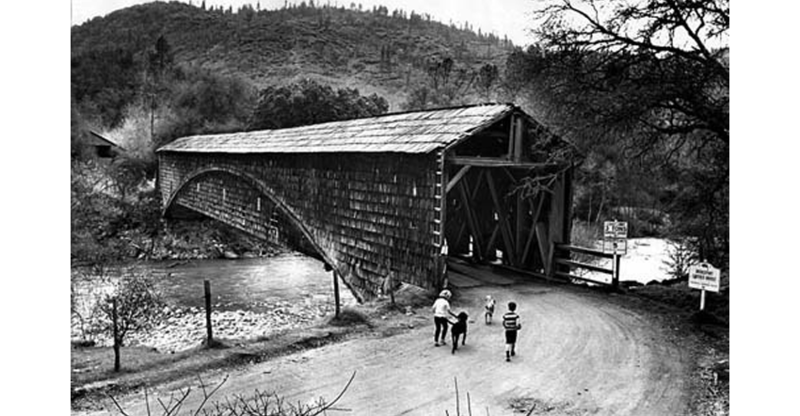 We thank the Nevada County community, the Save our Bridge Campaign Committee and everyone who has supported us to restore this historic bridge so that many future generations can experience this one-of-a-kind site. 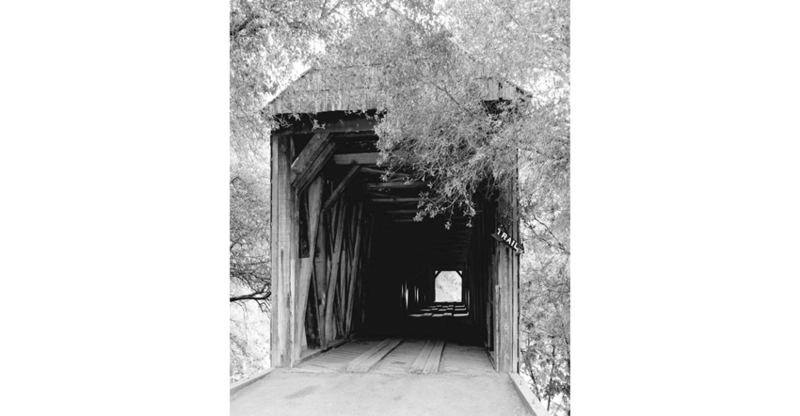 The Bridgeport Covered Bridge was originally built in 1862. 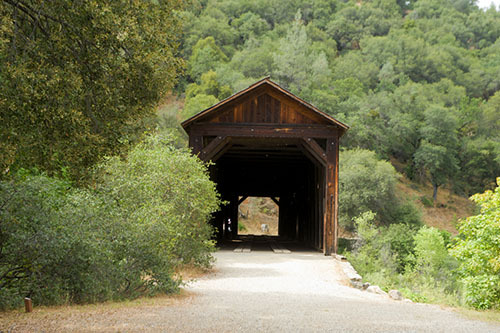 Located in South Yuba River State Park, the bridge spans 226 feet and is 16 feet wide. 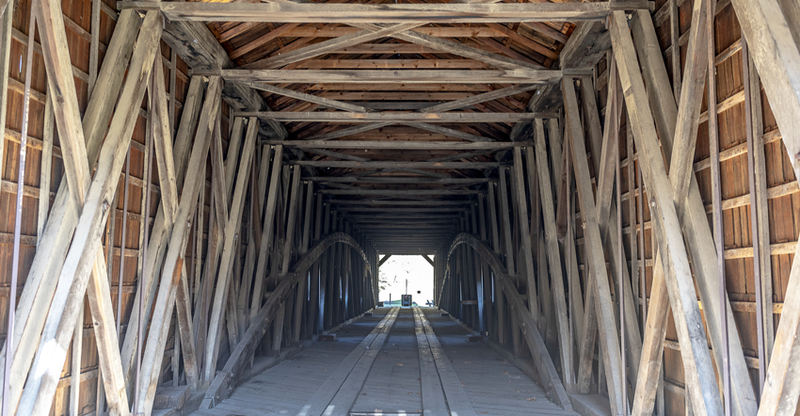 The Bridgeport Covered Bridge is the only remaining single-span Howe Truss-Burr Arch covered timber bridge of this size in the nation and is listed on the National Register of Historic Structures. 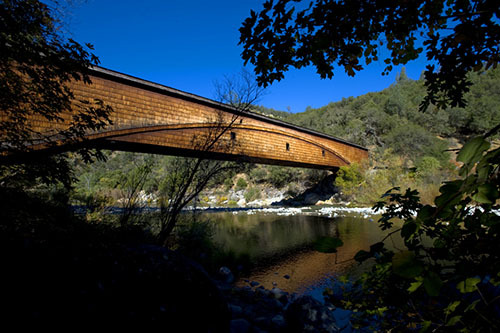 It is a major attraction used by 150,000 visitors each year as a pedestrian bridge across the South Yuba River in Nevada County, California. The bridge was closed to public access after a timber survey in September 2011 revealed significant structural damage. 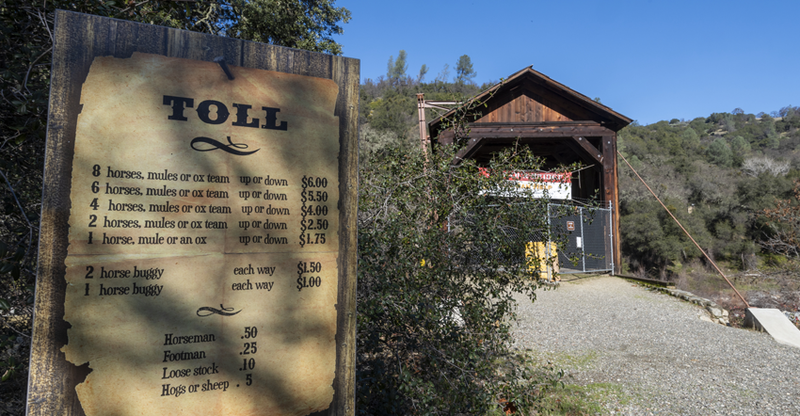 The park desires to use the structure for pedestrian access and horse drawn wagons. The project seeks to restore and rehabilitate the existing structure. 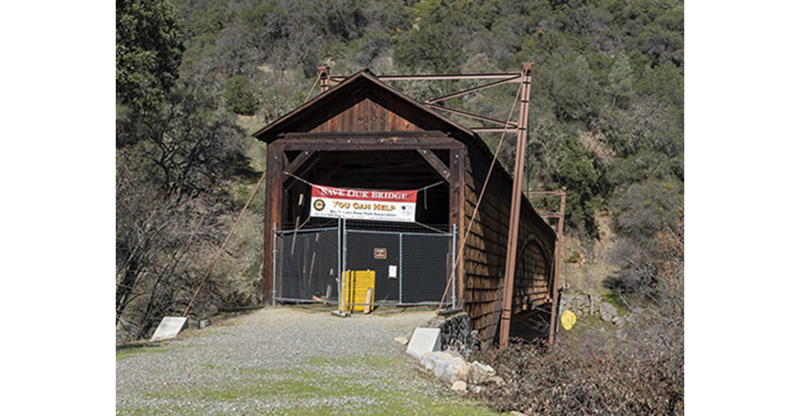 All repairs will be reviewed and approved by a California State Parks Historian to maintain conformance to the Department of the Interior Standards for Historical Preservation strategies. Bridgeport Bridge entrance image from 1984. 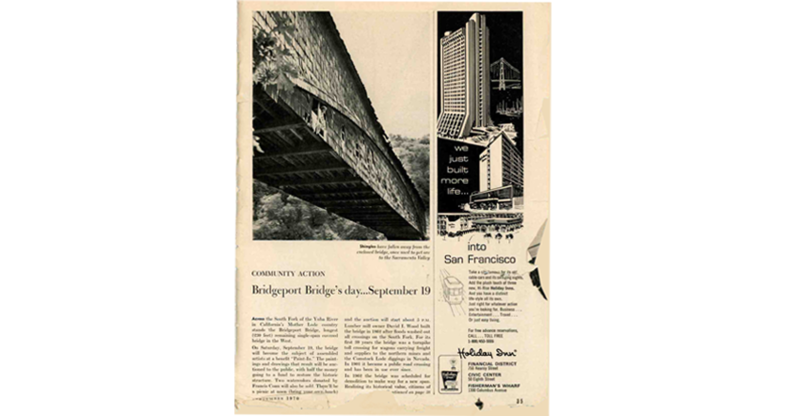 A newspaper clip from September 1970 about an art fundraiser at the bridge. Bridgeport. 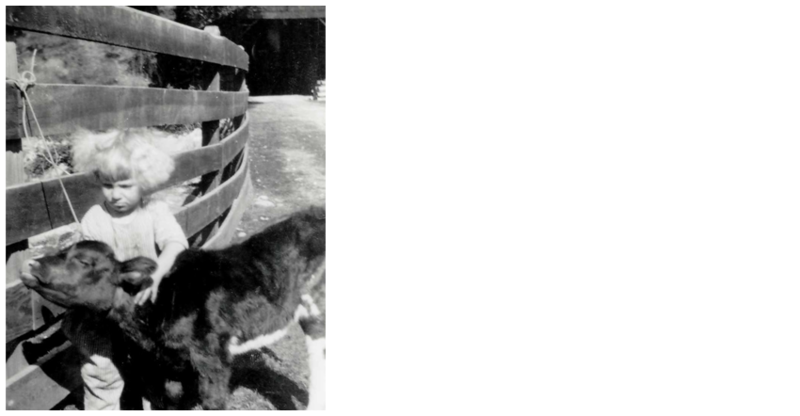 Andrew Reed Kneebone came to the U.S.
Marie Cole, who grew up on a farm near Bridgeport. courtesy of the Kneebone family. fall of 2011 when structural deficiencies were discovered during a timber survey. Archive, courtesy of the Kneebone family. Historic Places, and a National Historic Civil Engineering Landmark. Nevada Comstock Lode. 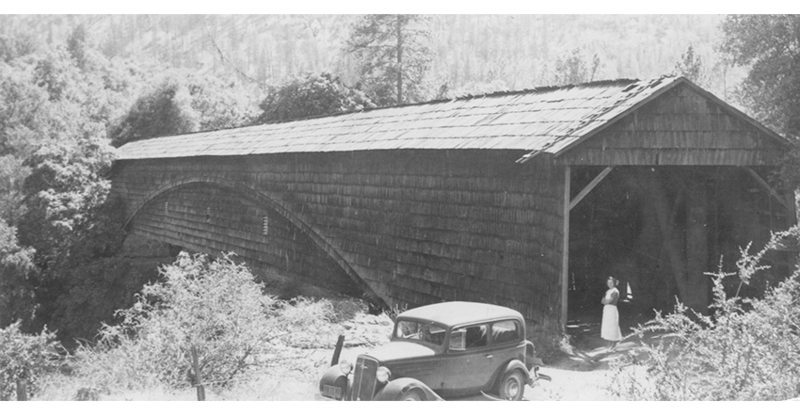 Tolls were collected between Marysville and Virginia City, Nevada. 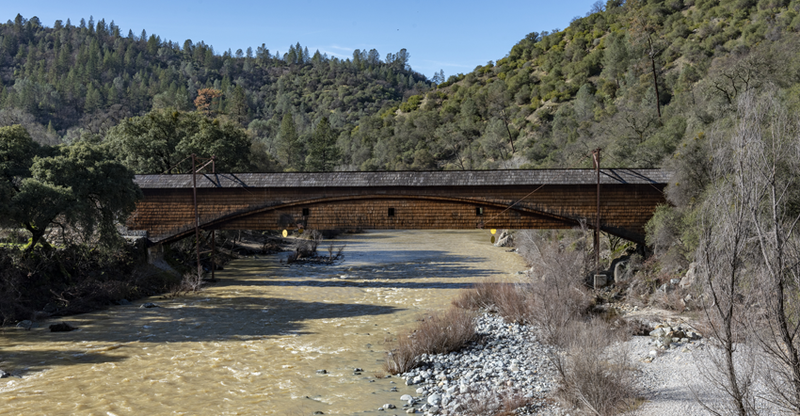 Historic Bridgeport Covered Bridge on January 10, 2019.